Axicon has designed the 6000 series barcode verifiers to verify small linear barcodes (with a maximum length, including quiet zones, of 66 mm) typically used on products scanned at the retail point-of-sale, or pharmaceutical products scanned at the point-of-care. These barcodes include EAN-13, EAN-8, UPC-A, UPC-E, Code 39, Code 128, HIBC, GS1 DataBar, GS1-128, CIP 39 and Laetus Pharmacode*. This verifier is perfect for product manufacturers, label printers, printers and packagers, and pre-press studios. As above, with a white light to verify ®Laetus pharmacodes. Requires additional dedicated software. Axicon’s ‘S’ range of linear verifiers (6025-S) has a continuous scan feature, which means that obtaining at least ten different readings throughout the height of the barcode (as required by ISO/IEC) is much faster. Simply place the verifier slightly above or below the barcode, press the trigger and slide the verifier over the code – in less than a second you can have results of up to 100 scans of the code at different points in the bar height. Aperture automatically switchable between 3, 5, 6,10 and 20mil aperture. Maximum scan width 66mm or 2.6″ (including light margin). 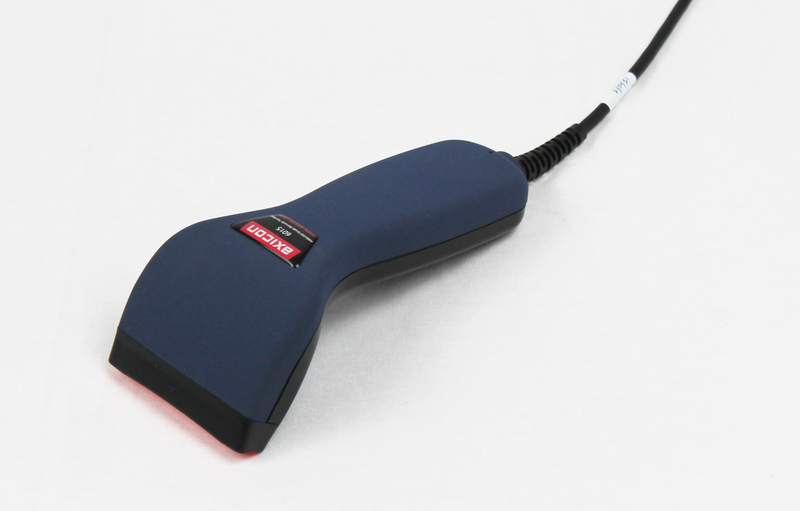 A CCD imager-based linear barcode verifier, designed to be ISO/IEC compliant. Aperture automatically switchable between aperture reference numbers 03, 05, 06, 10 and 20. Scan width 66mm (including quiet zones). Wavelength of light 660 nm. Weight: 250 g (8.82 oz). Size: 175 x 75 x 55 mm (6.9” x 3.0” x 2.2”).